The Duke of York is proud of the fact that we have been associated with the festival since its inception. 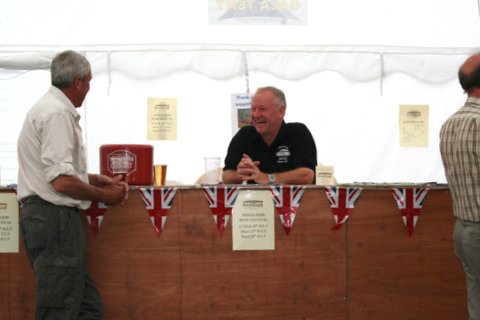 The festival bar is open from 11am until late on Saturday and 11am – 5pm on Sunday. We serve a selection of real ales and local Winkleigh cider, also spirits, lager and soft drinks. For those wishing to stay for the whole weekend we provide good accommodation. The Duke of York is open all day and good food is provided, see our write up by the Good Pub Guide below. We wish the organisers every success for the future. 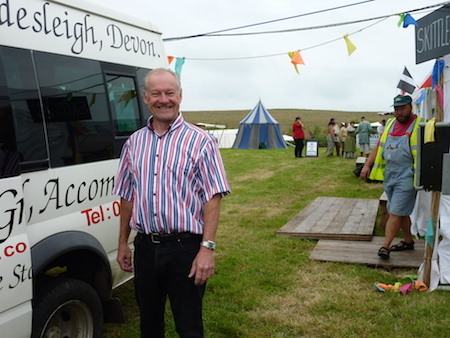 Landlord John Pittam welcomes you to the famous Duke of York 15th Century Inn. Open all day 11am - Midnight serving excellent food and Real ale! The Duke is also proud of it's listing in the Camra Good Beer guide. 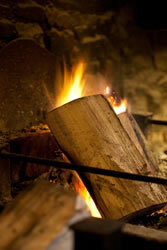 With a restaurant renowned for generous portions of home cooked food which is all sourced locally. Set in the heart of Devon, near Dartmoor, the Duke is a favourite meeting place for friends and families celebrating Birthdays, Anniversaries etc. The Duke welcomes many shooting and fishing parties. There are several good local shoots and excellent fishing at Stafford Moor and on the Taw & Torridge rivers. We have two roaring inglenook fires and offer excellent real ales served direct from the barrel and pride ourselves of our CAMRA listing. The quaint dining room has hosted many a party and the cosy alcove is ideal for intimate diners. Our friendly staff offers a very warm welcome and endeavour to give the very best level of service. We look forward to greeting you the next time you pay us a visit. Opening times 11.00am to Midnight all year round. 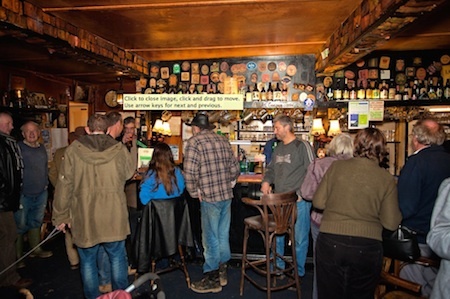 This is a charming little local with a genuinely authentic and friendly atmosphere and plenty of regulars and visitors. The unspoilt bar has a lot of homely character: rocking chairs, cushioned benches built into the wall’s black-painted wooden dado, stripped tables and other simply country furnishing, banknotes pinned to beams, and a large open fireplace. Adnams Broadside, Cotleigh Tawny and a changing quest beer like Bays Topsail tapped from the cask and quite a few wines by the glass. It can get pretty cramped at peak times. The dining room has a huge inglenook fireplace. Through a small coach arch is a little back garden with some picnic-sets. The timbered bedrooms have been upgraded.